In 1987 Snyder Mfg. 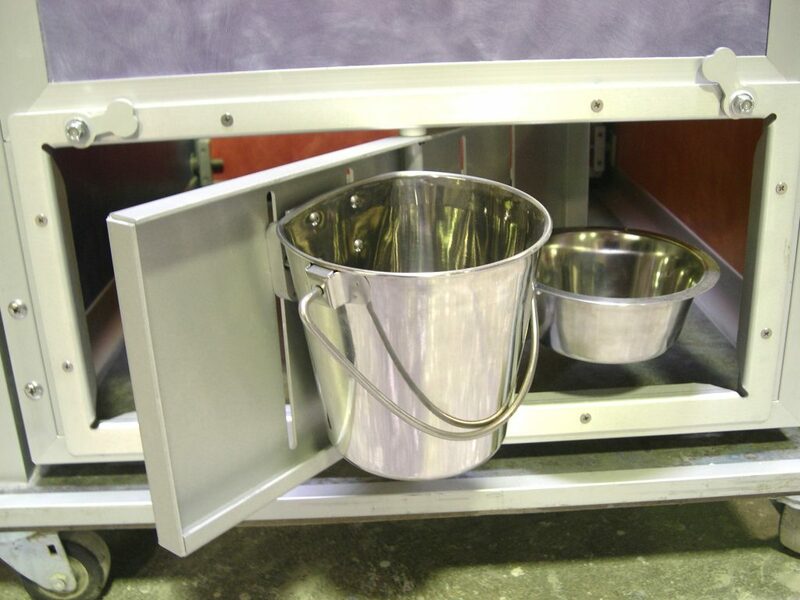 Co. introduced a new product for the kennel run system, the run dual-swivel feeder. There were many challenges with the original design. We soon found the 1/8" aluminum sheeting used to fabricate the feeder bowl rings wasn't strong enough. When a dog stood on the bowls it caused them to break. Another challenge was that some dogs were able to get the locks opened and were escaping through the door. The feedback at this point from our clients was "Great concept, it just doesn't work like we expected." So in 1993, the 2nd generation of feeders was created. The aluminum sheeting was discontinued and in place of it was a swivel feeder that looked like a small gate. This solved some of the design flaws but created some new ones. The locking system on the door was hard to use and the dogs still stood in the bowls causing the bracket to break. That brought on the final modifications in 1999. Snyder Mfg. Co. started manufacturing our own feeder bracket that had extra support. To eliminate dogs escaping we started using the run gate latching system on the feeders. You can unlock the gate from the front and swivel the feeder out to refill the water and food dish. The current design has had positive feedback from our clients! The main benefits of the run dual-swivel feeder are increased efficiency and speed when feeding and watering. 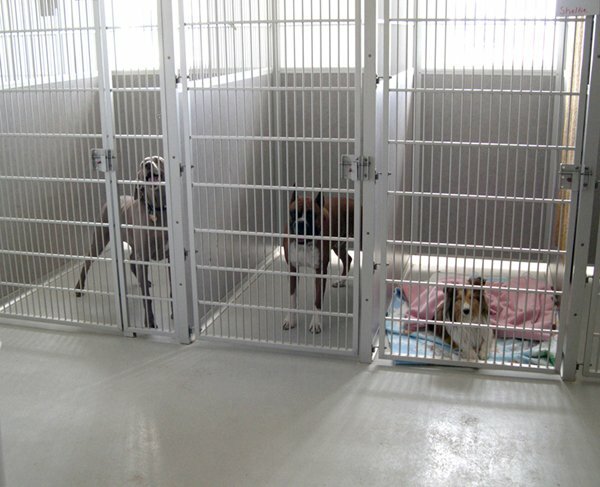 Also, they eliminate the hazard of trying to feed and water an aggressive animal by having to open the run gate. Snyder Mfg. Co. is continually working to meet the needs of our clients, as well as, being innovative with respect to the growing trends in the industry. These run doors are equipped with privacy panels. Any Snyder run gate or run door with privacy panels can be equipped with the run dual-swivel feeder.